Your front door is so much more than a door. It’s a way to make a statement to anyone who visits your home or even passes it on the street. Entry doors are a chance for you to show off your style, taste and personality, and to establish style, efficiency and safety. 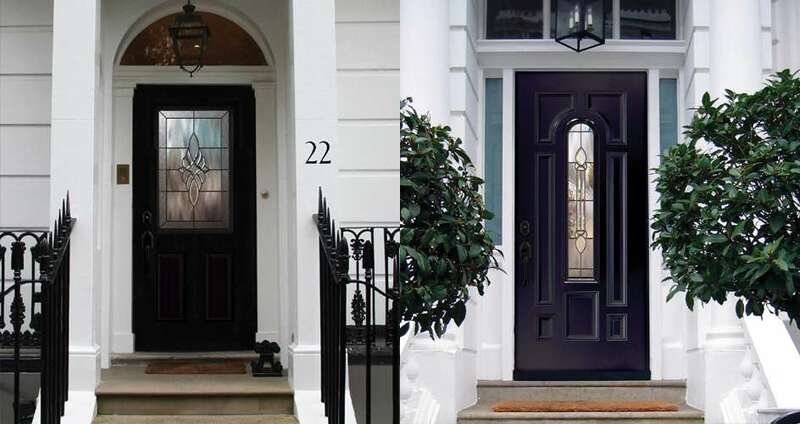 Here at Brock, we understand how important your entry doors are to your Toronto home. Quality entry doors are a long-term investment in safety, style and comfort. Take the time to work with one of our representatives to find the very best Toronto entry door for your specific needs. We offer a wide range of entry door manufacturers and designs, but one of our top sellers is Dorplex. Dorplex entry doors stand out from other manufacturers because of their innovative, high-performance construction and their ultimate design appeal. From traditional entry doors to modern creations, you can count on Dorplex for safety, energy efficiency and style. Dorplex entry doors offer superior construction. Their insulated steel craftsmanship is known throughout the home improvement and renovation industry. This tough interior adds not only extra protection from the elements and intruders but also boosts the door’s energy efficiency and therefore your home’s comfort level. Dorplex entry doors are offered in both steel and fiberglass. Steel doors can be painted any color you choose. Choose one of these options if you go with the fiberglass option: cherry, oak, mahogany or fir grain. Dorplex uses unique technologies to capture the beauty of traditional wood grain with fiberglass for a contemporary take on the classic entry door appearance. Each fiberglass entry door is indistinguishable from natural wood due to Dorplex’s patented nickel vapour deposition and door casting processes. Dorplex entry doors are not only durable and strong but beautiful as well. Make a statement for your entryway with a bold and eye-catching Dorplex entry door. Dorplex stands behind their “the difference is in the details” tagline with special features such as gorgeous glass for beautiful light to intricate textures providing added privacy. Let the Light in – Dorplex entry doors feature lovely decorative glass panels that let in tons of natural light without sacrificing you and your family’s privacy. Their detailed glass panels let the sunshine in while casting patterns of light on the inside of your home. Texture is Taste – Dorplex doors can include expertly carved designs with incredible detailing and textures in both the fiberglass and the glass. You can complete the look with complementing hardware and fixtures. Handcrafted – Dorplex detailing takes on whole new levels with handcrafted glass. Each individual panel is unique and specially made. Though Brock offers many different entry door manufacturers for your Toronto home, Dorplex is one of the premier brands available.